The founder of Duck Tape, Jack Kahl, took the brave step to sell his Duct tape as a branded product under the trade marks Duck ® and Duck Tape ®. 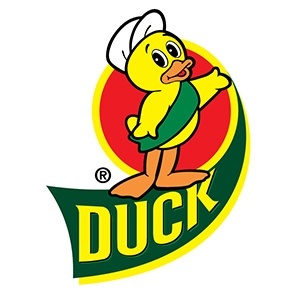 Hence the Duck ® was born. So if asked what came first the Roll or the Duck …….. now you know! Duck Tape is the UK’s favourite DIY tape and has been the Number one for over 10 years.